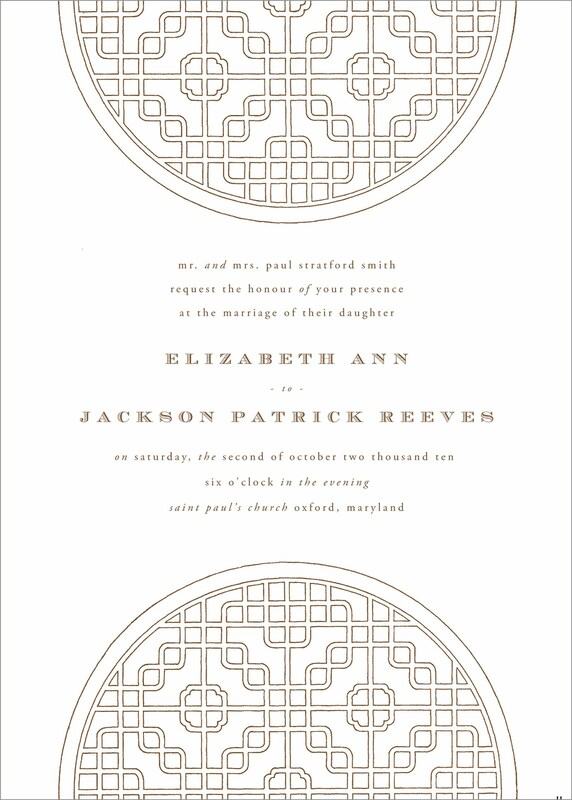 I’ve been hard at work designing the wedding paper wardrobe for this upcoming fall wedding. 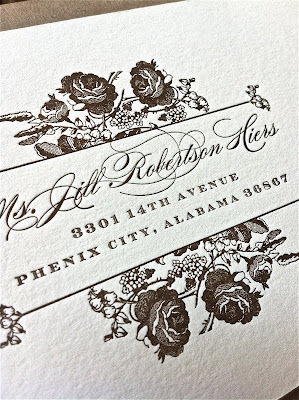 The bride was inspired by her brown Spode Woodland china. 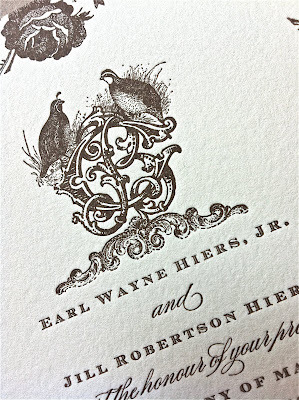 We completed the look with a victorian monogram with male and female quails atop each letter. She’s glamming up the look at the wedding with feathers and jewel tones. 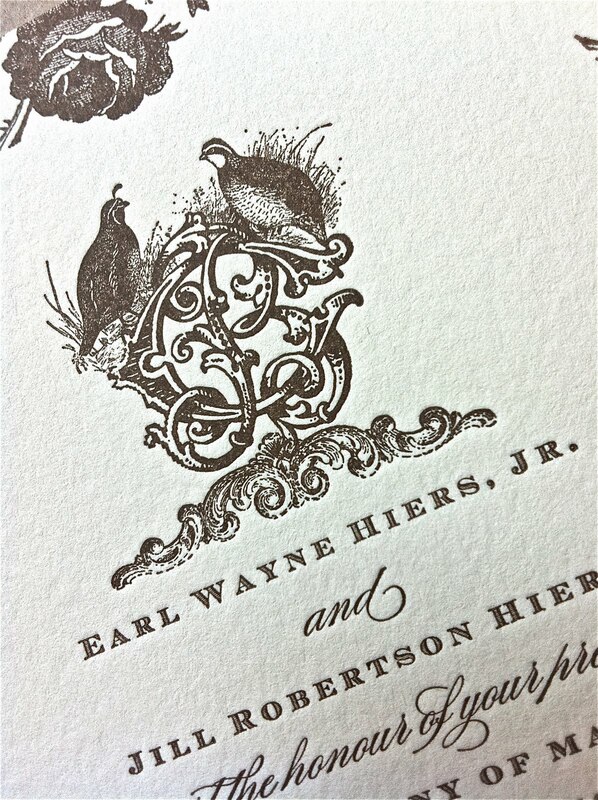 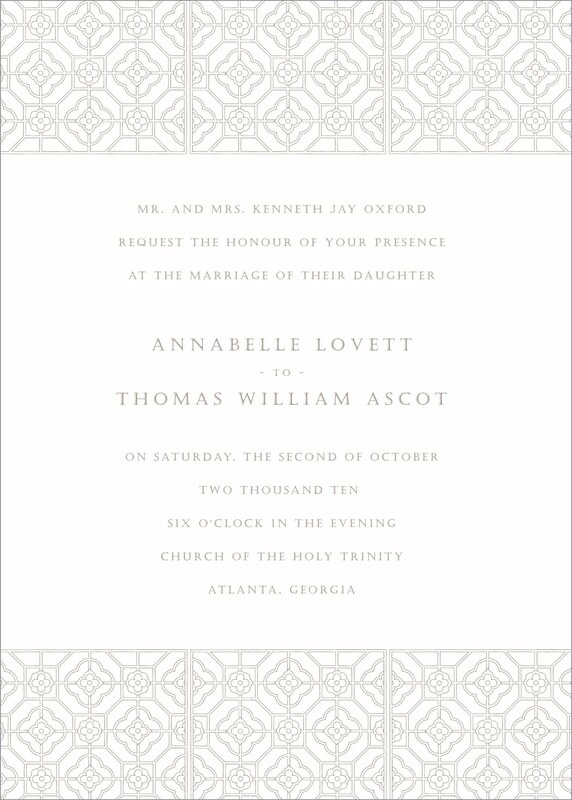 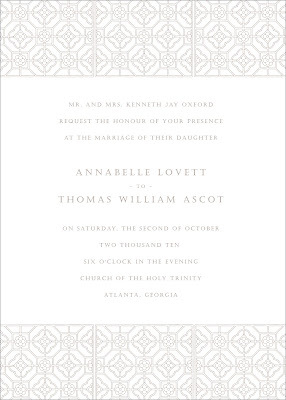 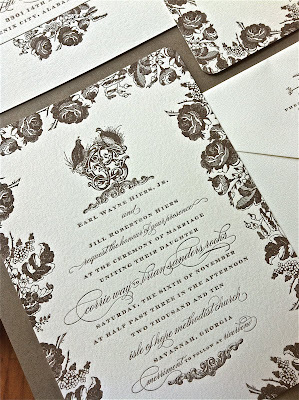 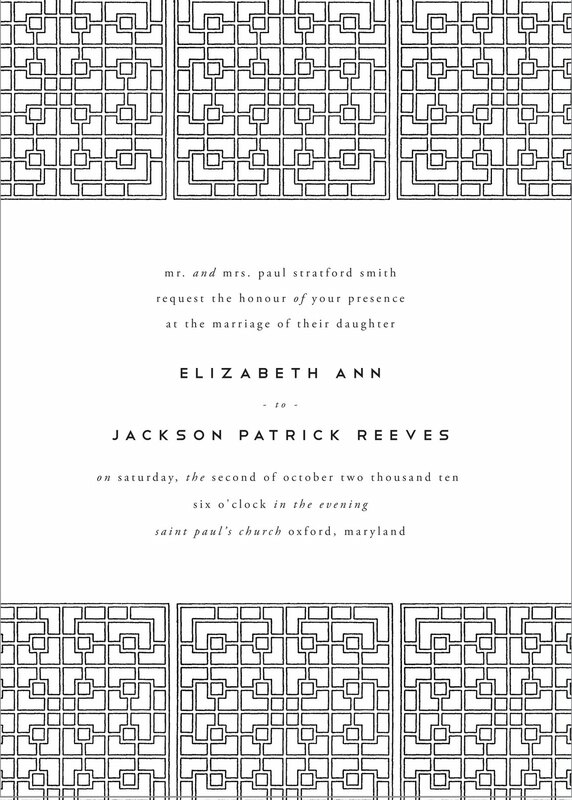 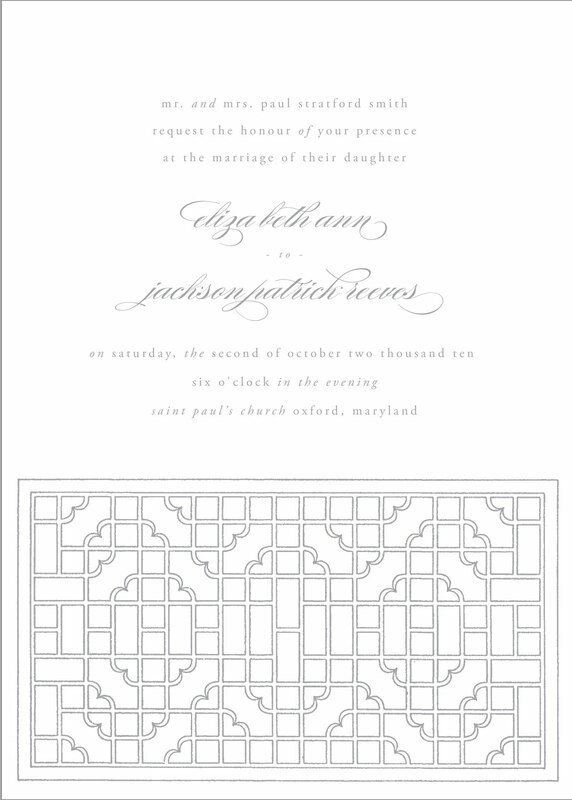 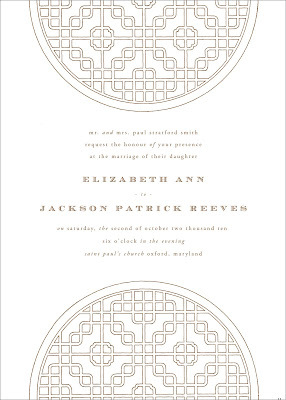 Here’s a sneak peek of the wedding invitation printed in brown letterpress on Crane ecru lettre. 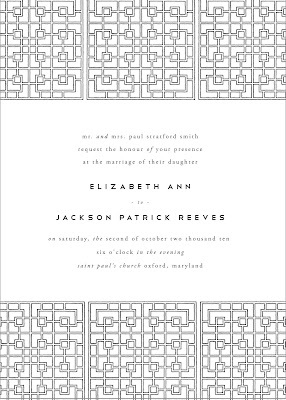 More photos to come once the wedding is complete – food signs, programs, the whole nine yards – it’s going to be beautiful and so unique! 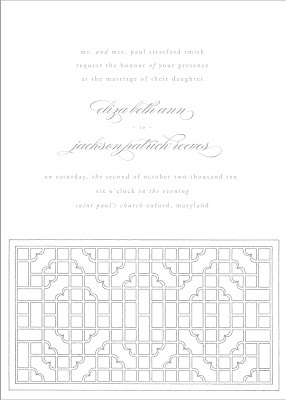 I am helping a friend with her son’s rehearsal dinner Can we get these invitations?